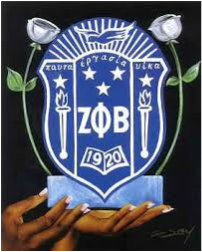 On March 10, 1997 Zeta Phi Beta Sorority, Inc. issued the chapter its name Pi Rho Zeta. Our graduate chapter was chartered on April 26, 1997 at the 63rd Great Lakes Regional Conference held in Fort Wayne, Indiana. The charter was established under the leadership of International Grand Basileus, Soror Barbara West Carpenter; Great Lakes Regional Director, Soror Norma Coz Dartis and Michigan State Director Soror Mary Crew Lester. * Being active and financial members of Zeta Phi Beta Sorority, Inc.
We are grateful to our illustrious Founders who over 90 years ago envisioned a great sisterhood based on the principles of Scholarship, Service, Sisterly Love and Finer Womanhood. The women of Pi Rho Zeta are committed to continuing to build on our legacy of service by embracing Z-HOPE, Zeta's Helping Other People Excel...through mind, body, and spirit.